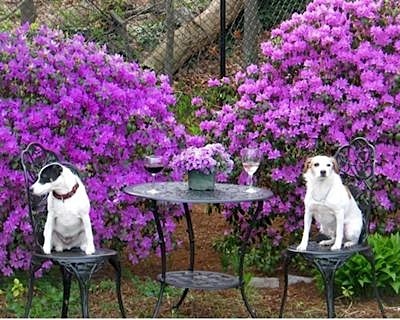 My brother adopted a Jack Russell Terrier about 7 years ago (Buster, on right). My family and I all fell completely in love with his personality. About 2 and a half years ago, I got my own JRT (Hunter, on left) and they are best friends! Every Sunday my brother brings Buster over to play in my backyard with Hunter. They chase each other for hours. This picture was taken a couple of weeks ago. Those are a couple of pretty cute cousins!